This course has been canceled! Course Summary – This 4-day technical training course provides advanced training in the development of Embedded Linux Board Support Packages (BSPs), Device Drivers and Distributions. The first part of the course focuses on BSP and Software Development Kit (SDK) development in an Embedded Linux context with a focus on application performance measurement and improvement. The latter part of the course covers Embedded Linux Device Driver development including key device driver decisions and deployment considerations for Embedded Linux BSPs. Who Should Attend – The course is designed for real-time engineers who are developing Embedded Linux BSPs and Device Drivers for Embedded Linux distributions. It is also targeted at experienced developers requiring a refresher course on Linux BSP and Device Driver development. •	To gain an understanding of the complexities of BSP and SDK development and their uses in Embedded Linux systems. •	To provide a basic understanding of the Linux I/O Subsystem and the Device Driver Models provided with Embedded Linux distributions. •	To give students the confidence to apply these concepts to their next Embedded Linux project. 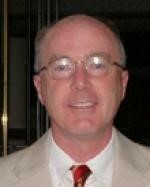 Lecturer – Mike McCullough is President and CEO of RTETC, LLC. Mike has a BS in Computer Engineering and an MS in Systems Engineering from Boston University. A 20-year electronics veteran, he has held various positions at LynuxWorks, Tilera, Embedded Planet, Wind River Systems, Lockheed Sanders, Stratus Computer and Apollo Computer. RTETC, LLC is a provider of Eclipse-based software development tools, training and consulting services for the embedded systems market.